U.S. 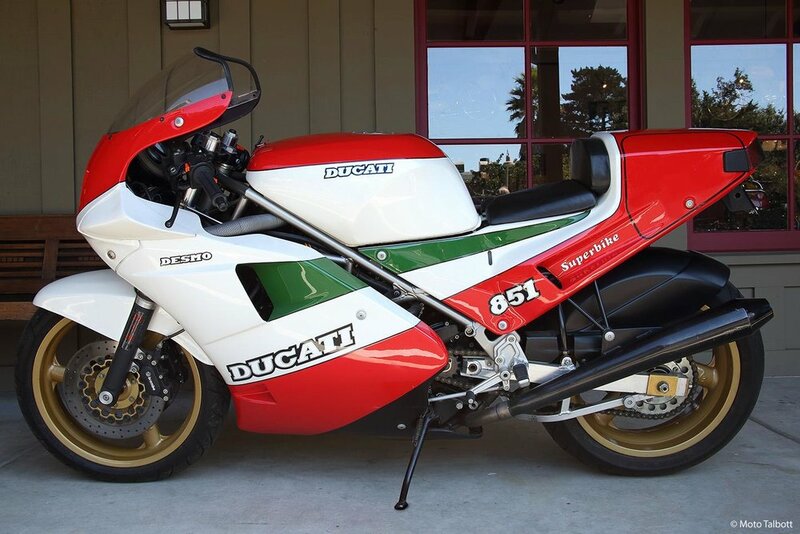 In contrast to the 851 “Strada” model (for street use), the 851 Kit included a higher compression ratio, 17-inch magnesium wheels (instead of 16 ), closer gear ratios, race ECU and mapping, braced swingarm, and race exhausts. Although it came with no mirrors or speedometer, some enterprising riders found a way to make the bikes legal for street use. And oh yes, the sweet music—this bike sounds fantastic!